Planning a trip to Nashville? Plotting out your plan of attack can be daunting when you've never visited Music City before. This article takes all the options visitirs haveand sorts them into multiple day plans. If you visit Nashville, you will be tempted to do some day drinking. 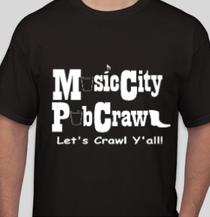 In Music City, the music (and drinking) begins at 11 AM every day, in every bar downtown. It’s so easy to get caught up in the festivities and find yourself in your hotel room by 4 PM. Therefore, some light-hearted and helpful tips on day drinking will help you enjoy longer and not miss a beat. Nashville, TN has become a hotspot for bachelor and bachelorette parties. You can't walk down Broadway on Saturday without spotting endless groups of young men and women, there to celebrate the pending weddings of their besties. The bachelorette parties are a little more flamboyant, often donning tiaras, boas, matching shirts and naughty accessories. Determining why Nashville is the #1 destination for bachelor and bachelorette parties is not difficult.